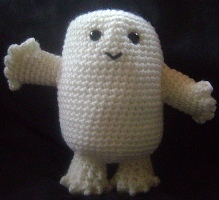 Create your very own little alien adipose creature from Dr Who. What a beautiful, amigurumi! Thanks, Jane!!! Your blog is always so chic, trendy, marveillous!!! I am freaking out about this pattern- love Dr. Who! 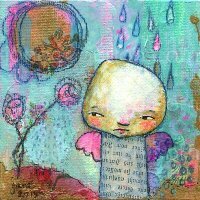 This will definitely be my next project- thank you! loooove this! didn't ever think my love for Doctor Who and amigurumi were ever going to meet like this. best surprise ever! Thanks so much for the link! I just saw the adipose episode on the weekend and knew after that I just had to try to make one. It will be my first try at amigurumi but I am looking forward to the challenge!